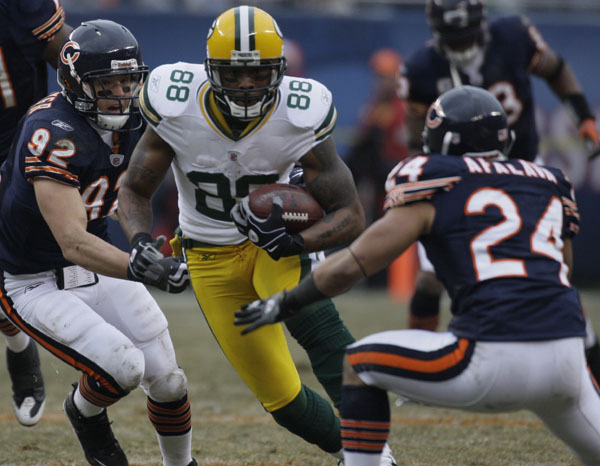 Packers @ Bears Postgame « Roll Out the Quevedo! One of Packers’ staff writers wrote a piece yesterday on the Packers needing to improve in the red zone. HELLO! I’ve been saying it for weeks now. It almost cost them a game Sunday. 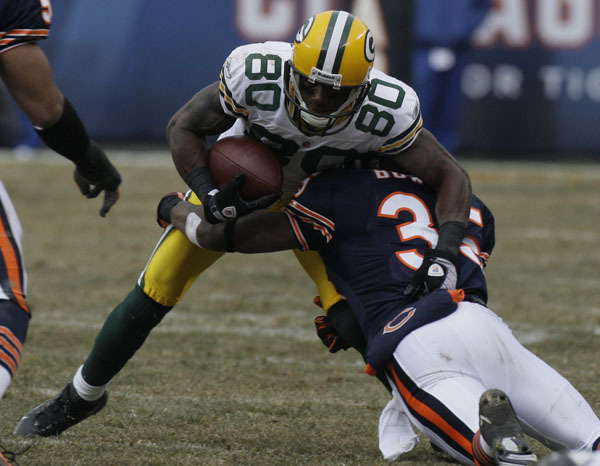 Let’s see…which is more damaging to the Bears: down 21-0 or 13-0? They were 0-2 in the red zone in the first half and had to settle for field goals. Eventually, Crosby is going to start missing field goals inside of 30 yds, and then we’re in real trouble. On a different tone, let’s put the game in perspective. The NFL is a short season. Wins are at a premium. We shouldn’t ultimately care if it’s a good looking win or an ugly win. Especially with the playoffs in the near future, it’s all about survival. Be happy with a road win against a divisional rival. Let’s see how my keys of the game played out. 1) Make the Bears drive the field. Give the Bears credit. Their two drives were over 60 yards. We gave up three 3rd down conversions of over 9 yards on the first drive. Unacceptable. BUT…they had 12 drives, all of which started in Chicago territory. I’d count this as a win. 2) Contain Greg Olsen. They tried to get him the ball in the 2nd half, but the Packers held him to 2 catches. On a side note, I was impressed with Aromashodu. Big, aggressive receiver. More of a #1 then Hester. 3) RZ offense. Already covered it. They were 1-4 in the RZ, one of them being the kneel down to end the game. 4) Quick start. Up 10-0 in the first, could have been more, but they really dominated the first half. 5) Learn from the Steelers. The Packers were pretty solid over all, although it was closer then it should have been. Too many mistakes. Thankfully, Cutler turned into Cutler in the 4th quarter. 1) My brother-in-law texted me after the Packers first play from scrimmage. “Between the tackles”. Good to see the Packers brass is also reading ROTQ. 2) Good to see another team have penalty problems. The Bears had 13 for 109 yards. 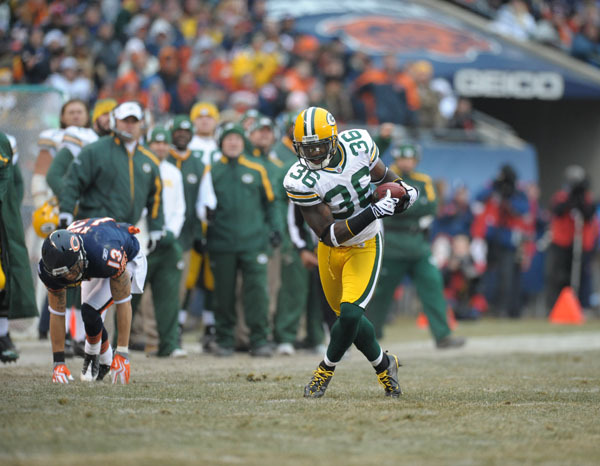 3) Donald Driver needs to pick it up. He was out of it against the Ravens, and seemed out of the game plan Sunday. 4) Two officials comments. First, that was a touchdown to Jennings. They would have called it a fumble if it happened on the 30. It’s no different then guys losing the ball after they cross the goal line and it’s still a TD. Second, the Bears were called for a false start prior to their 4th down play at the end of the game. They had no timeouts. Where was the 10 second runoff and why didn’t they start the clock? The Bears were allowed to huddle up. Huge mistakes that could have helped the Bears. Inexcusable. 5) Does Lovie Smith really know the rules of football? Every time I watch the Bears, he does something that makes you wonder what is going on in his head. The new rule is quite clear. Olson, when hitting the ground, has to maintain possession. He wasted two timeouts on that play. 6) Anyone else lose their lunch when they saw Woodson laying on the ground with what seemed like a separated shoulder or torn pectoral? WHEW! Play of the game. Now PAY HIM! 7) The Packers signed Brandon Chillar to an extension Monday. Note to TT- You better take care of Nick Collins. NOW. 8) Play of the game- 13:39 in the 4th, 14-13 Bears. The pick by Collins on 3rd and 5. Capers called the corner blitz at least 4 times Sunday and Tramon Williams forced a bad throw. HUGE PLAY. In my opinion, one of the biggest plays of the year. The score by Grant put the Packers up for good and ultimately put the Packers in the playoffs.